Declan Donnelly called for a round of applause for Ant McPartlin after hosting the last in the series of Saturday Night Takeaway alone. He took charge of the live episode from Florida without his co-presenter, who stepped down from work commitments following a drink-driving charge. Donnelly presented the ITV show without McPartlin for the first time last week. After the variety show went off air, he told the audience the shows had been “fun” but “tinged with sadness”. He asked them to applaud McPartlin, saying he “is back at home” and would “appreciate that”. He had signed off the programme filmed at the Universal Orlando Resort by thanking fans for “all the love and support during the series”. McPartlin is to appear in court this month after being arrested after a collision with two other cars while he was driving his Mini in south-west London, on March 18. 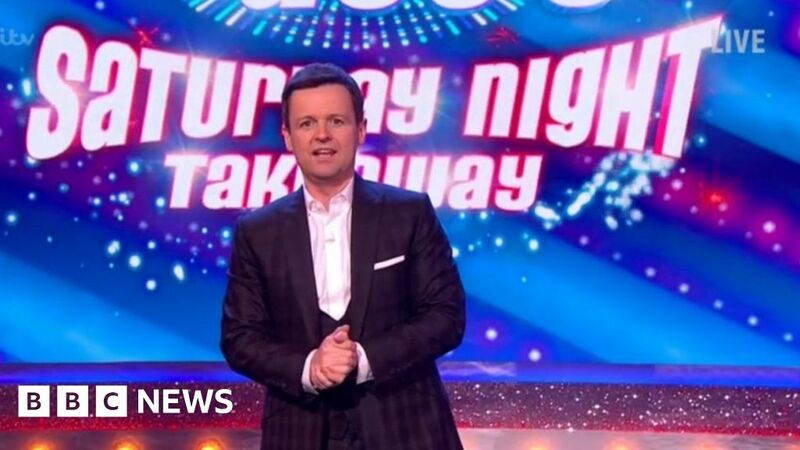 Saturday Night Takeaway was cancelled the following week, but Donnelly returned to hosting duties on 31 March. Show regulars Scarlett Moffatt and Stephen Mulhern have also taken on greater presenting roles. But like last week’s show McPartlin made a brief appearance in a pre-recorded comedy sketch called Saturday Knight Takeaway – alongside stars including Joanna Lumley, Noel Edmonds, Emilia Fox and Bill Roache.